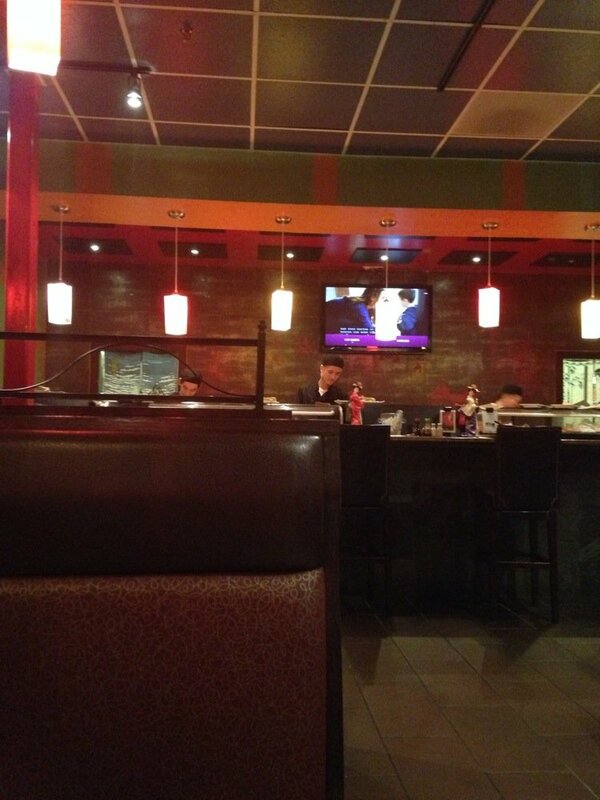 Still rocking my inner Asian back on the Sushi quest today, just around the corner from Yummy Sushi, is Crazy Sushi. The population here is dense enough to support both and after eating at both, I can see me doing the same. Each has their own unique items that is a must have. I may prefer the interior here better, but that’s a personal thing. 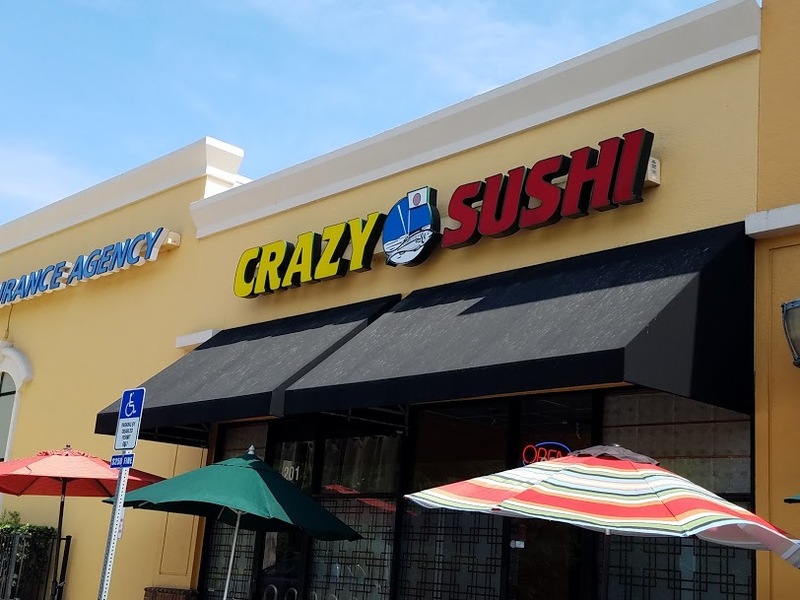 It was in after lunch rush so the place was mine, and the service not rushed. 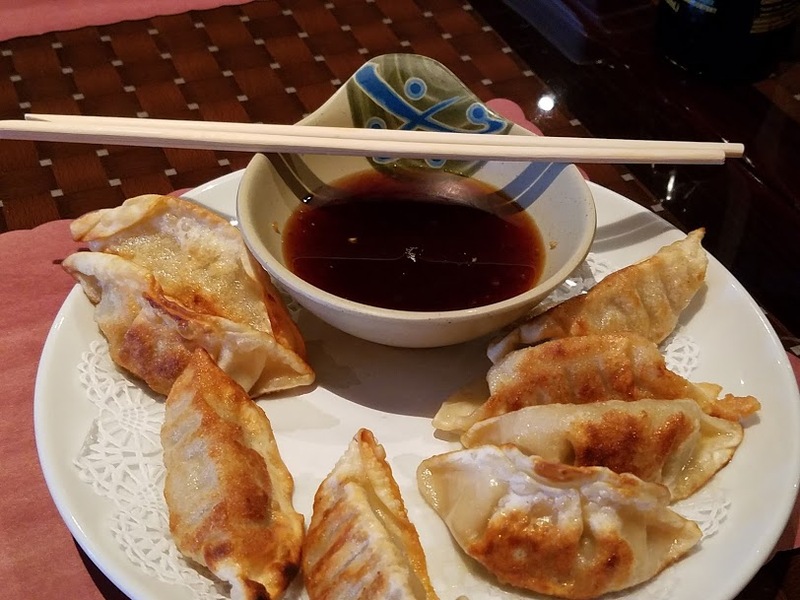 Today’s choice appetizer the pan fried Gyoza stuffed with meat and vegetables. Large nice pillows brown, moist, with just a touch of crisp, served with a side dipping sauce. Top roll selected today, Brazilian Paradise, tempura, spicy white fish, krab, crunch and basil. wrapped in soy paper, with avocado, more crunch on top, fish eggs, eel sauce and spicy mayo. 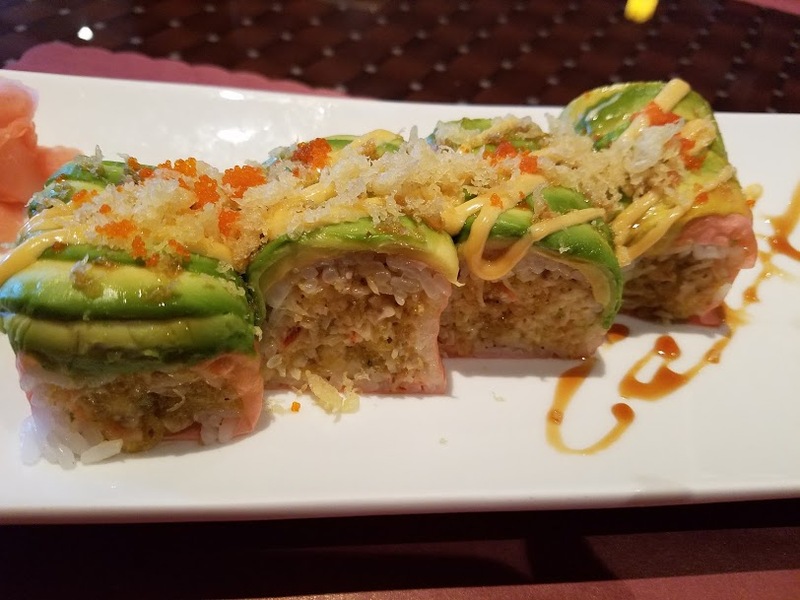 This roll was amazing, the addition of basil infused a new element never before experienced by me. Something to return for. The success of dispatching that roll drove me on to attempt another, this one the Crystal Roll. My decision was based on two factors the picture and the ingredients. 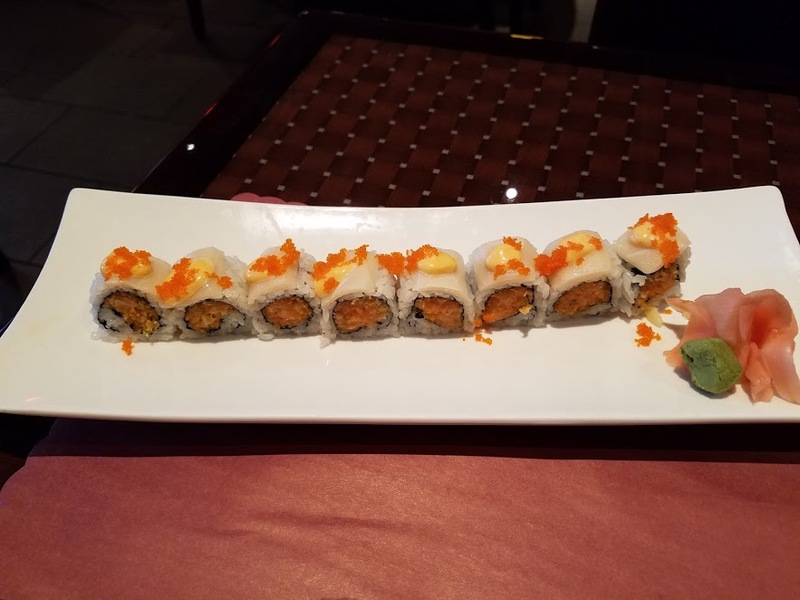 This roll boasted, spicy salmon and crunch inside, with white tuna, spicy mayo, and fish eggs on top, which they delivered. But this presentation was false advertising. An enhanced picture of this roll is on the web site as well as the table. I wanted my plate decorated just like the picture. All of that aside the roll was great. I like white tuna, and all the crunch. This roll I ate with my fingers. 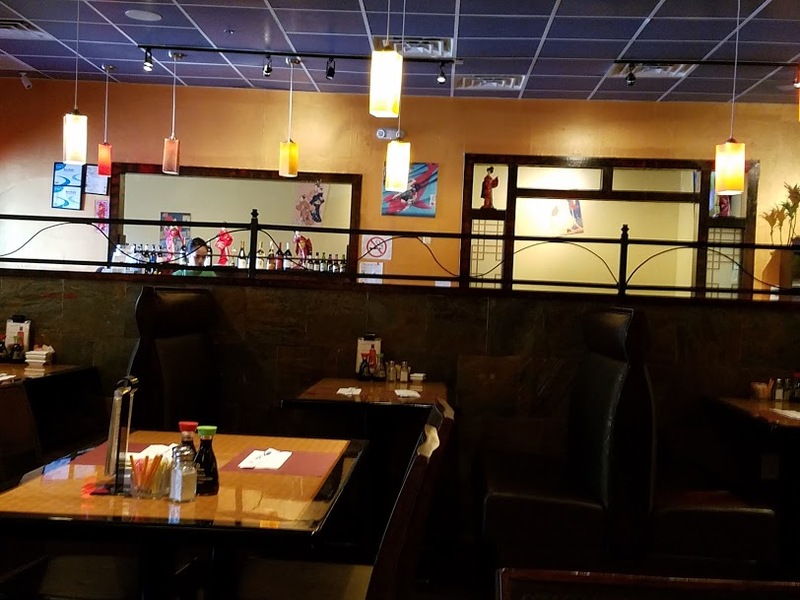 Verdict, a must try spot for Sushi lovers, gather the besties on this one, get one of those giant boats and celebrate.